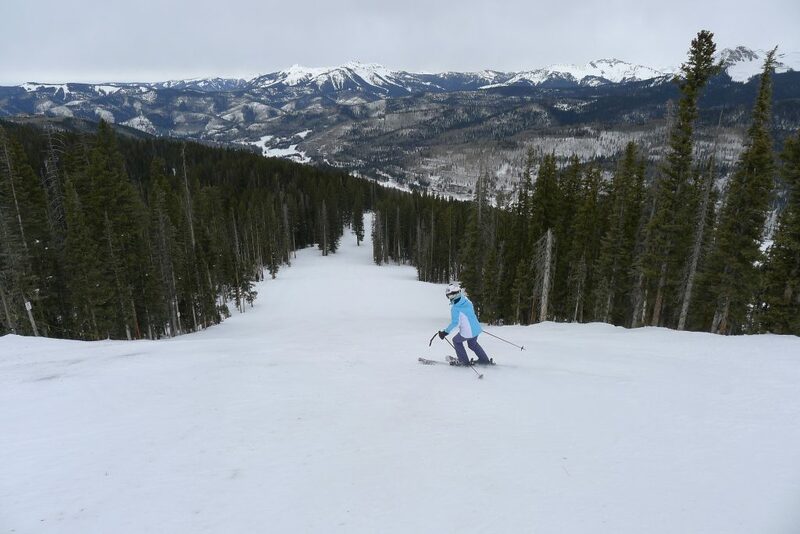 Purgatory is one of the 3 major resorts in Southern Colorado. 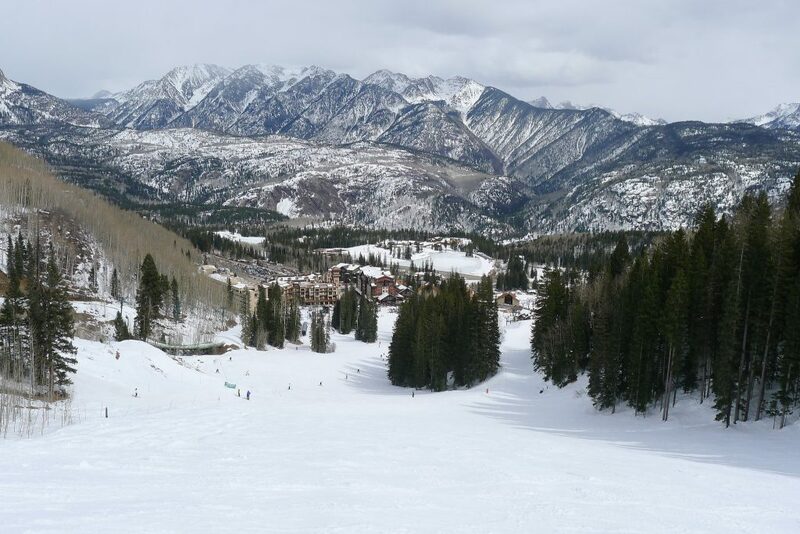 Located near Durango, and having great views and ideal terrain for the average skier, it’s a popular option for skiers from New Mexico, Oklahoma, and Texas. 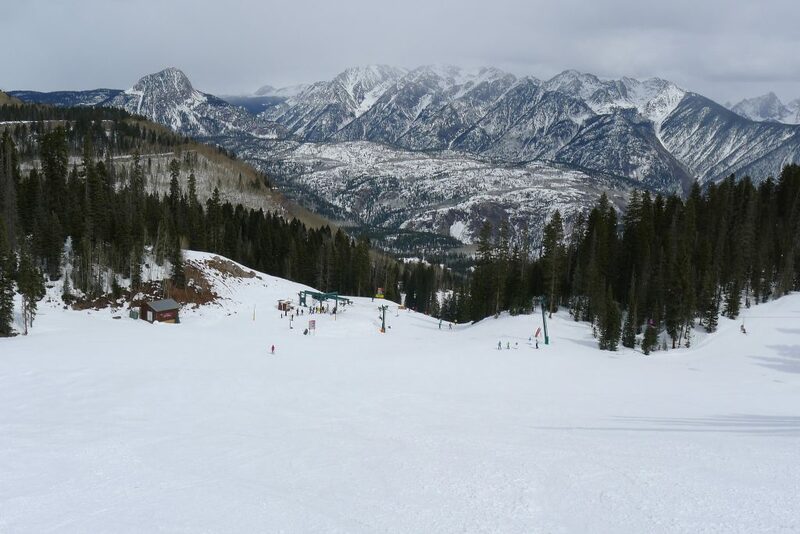 It is known for having decent snowfall for being in the Southwest, and lots of easy blue terrain. 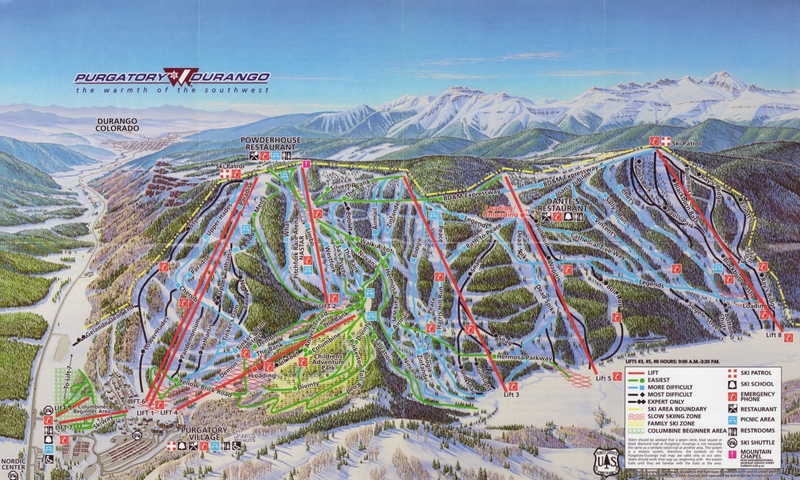 Purgatory was somewhat of a homecoming for me because I grew up skiing there on the many trips we took from Albuquerque. I think the turning point for me becoming a real skier happened when I was a teenager and our planned trip had to be canceled due to a blizzard. I remember being very disappointed and it was in that moment that skiing became more of a priority for me. 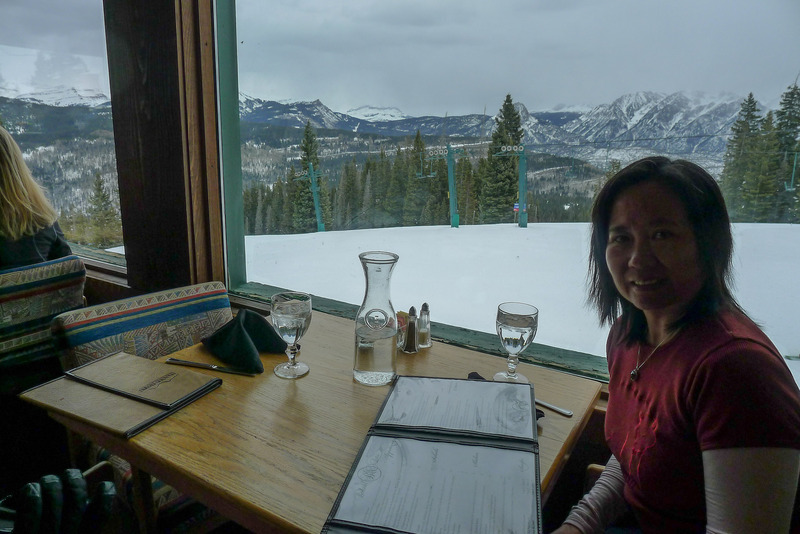 A couple of years later I made the decision to go to college in Gunnison Colorado to be closer to skiing, and it became a major focus for my life. Going back after 15+ years was very interesting. What I used to think of as difficult runs now seemed very flat. Of course most of my skiing there was on 55mm wide 180-195cm racing skis that we all used back in the day for some reason nobody really understands now. I remember trying to ski knee-deep powder and just getting stuck or worse yet, losing my ski. 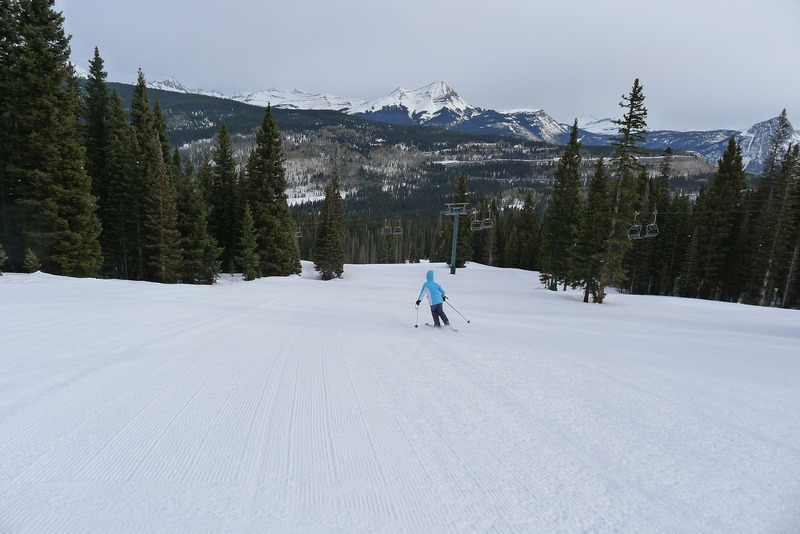 Now with Volkl Mantras strapped on (and a lot more experience), it seemed mostly too easy. The best zone for us was chair #8 — the Legends lift. Purgatory does a GREAT job grooming and they groom a lot of runs, including “Ray’s Ridge” which is a black run and our favorite. The bottom of the Legends lift is truly steep, but also groomed. It drops off steeply just below a mid-lift loading station that most people use, but that last steep part was a blast. 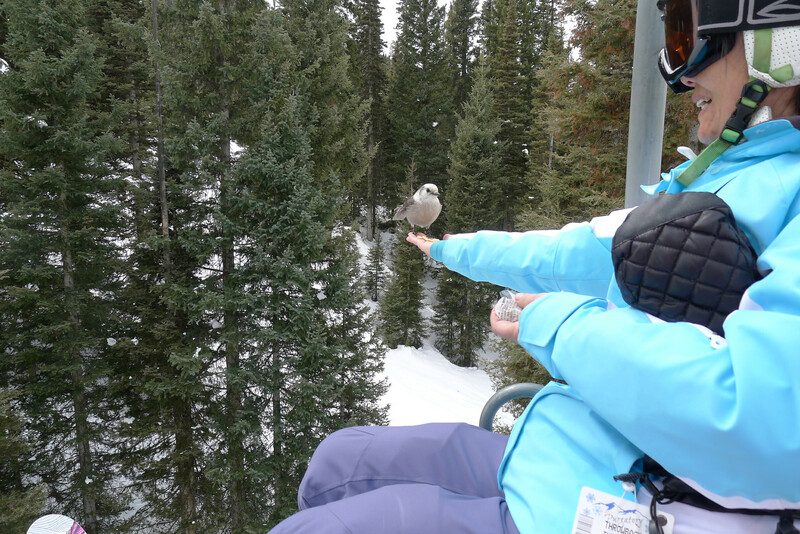 Another fun aspect of Purgatory is the birds that take food right out of your hand. They’ve been doing that since the 90’s as I recall, so I was happy to see that they are still there. Chair #1 was the only high-speed lift when we were there, but since then they have upgraded #8 to a high-speed quad. 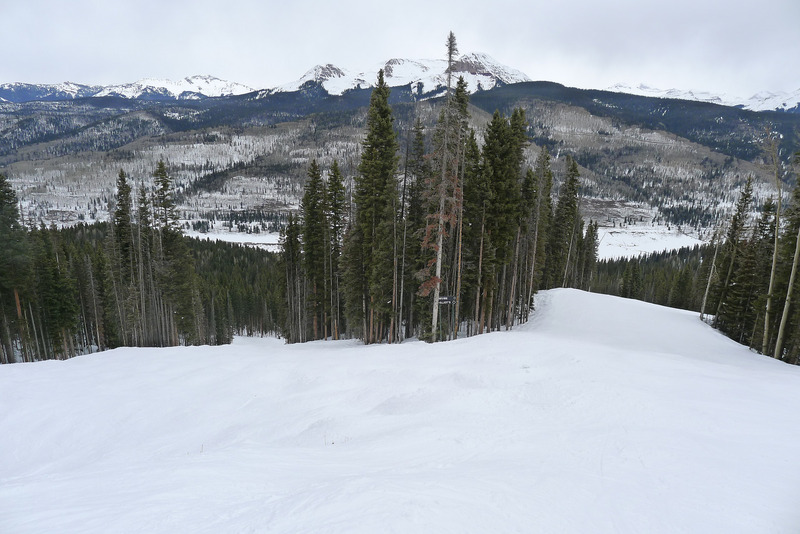 #1 is the main lift on the front-side and serves the only other part of the mountain that has steeper terrain. Everything between #1 and #8 is pretty flat. Again, the grooming on #1 is great and they had groomed some of the steeper terrain there. Dante’s restaurant is high up on the mountain and the building is very old but had pretty good food that wasn’t expensive. By the way, there was some promotion going on so I think we paid something like $60 for 2 lift tickets! It was an amazingly inexpensive ski day. Purgatory is a great place to spend a relaxing day if you are in the area, but we would be more likely to go back to either Taos or Telluride which are the 2 major competitors that have better terrain and have more to offer for us.